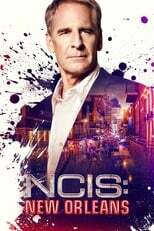 Where can you stream NCIS: New Orleans? On 2014-09-23 Action & Adventure/Drama TV Series NCIS: New Orleans first aired on CBS. Written and created by Gary Glasberg, and produced by When Pigs Fly Productions & Wings Productions, NCIS: New Orleans will return and was last broadcasted on 2019-04-23.